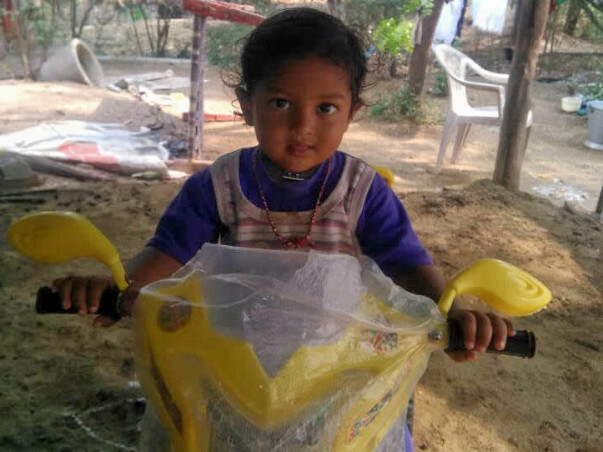 Two days ago 3-year-old Akhil, son of Mr. Rama Rao, was rushed into the hospital in a critical condition where he was diagnosed with Hepatic Abscess. It is a liver abscess that causes inflammation and bleeding of the liver. 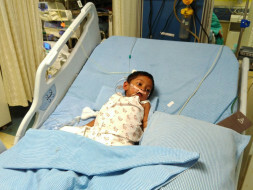 Akhil is in a very dire condition and is now in the ICU ward on life support. He needs to continue to remain in the ICU for another 10 days in order to recover. 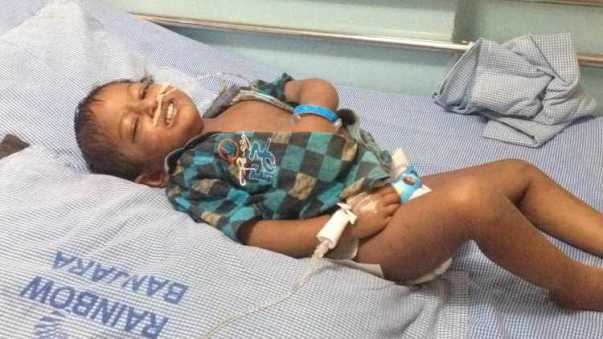 The total cost of his treatment is around 4 lakh Rs. 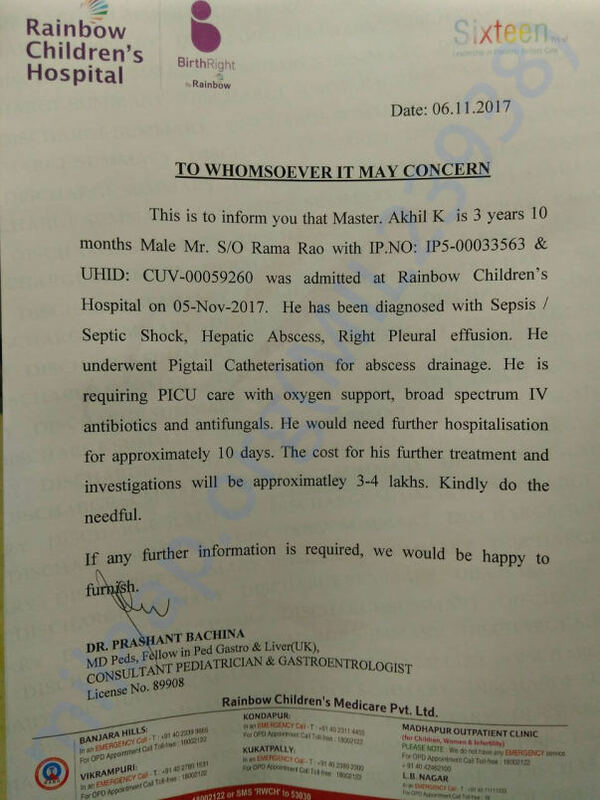 Unfortunately, Akhil's father, Rama, has already exhausted all his funds paying for Akhil's treatment so far and does not have the money to incur the costs of his further treatment in the ICU. He is worried that without these funds he will not be able to save his baby boy. He needs our help and support. 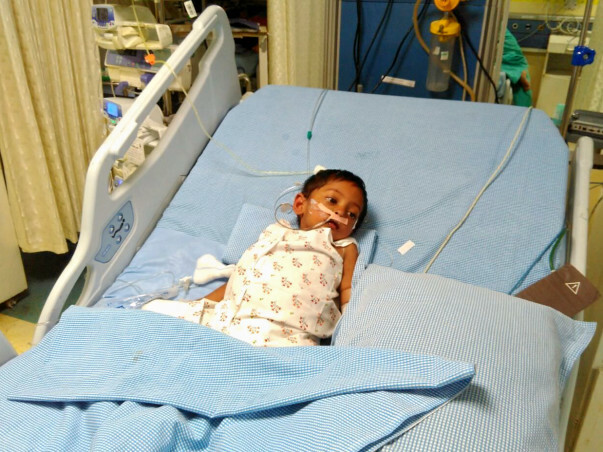 Your contribution can give Akhil the treatment he deserves to get better. Thank you for your love and support. We couldn't have done this without you. It gives me immense pleasure in informing you all that Akhil has been discharged and is doing well now. He has been prescribed medicines and will continue to be on medication until the doctor advises otherwise. There will be regular follow ups and the next visit is scheduled to be in a month's time. We are hoping to see him recover soon. Thank you everyone once again! This means a lot to us. Thank you for all the support that you have shown towards my son Akhil. He is doing better now compared to earlier all due to your support. He got discharged from the hospital as his health stabilized. The doctors have suggested us regular follow-ups and he is medication for the next three months. After which they will be able to suggest the future course of action. Thank you all once again for all the support. Would request you to please pray for his health.